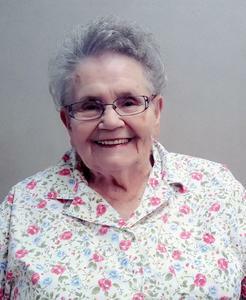 Margaret (Mike) Abma, age 87, of Holland, passed away peacefully Sunday, February 3, 2019. Margaret was born in Holland and graduated from Holland High School in 1949. She retired from the West Ottawa Public Schools where she had worked in food service. Margaret was a member of North Holland Reformed Church. She was preceded in death by husbands, Willard Van Den Berge and Edwin Abma; daughter, Sandra Vander Zwaag; son, Bill Van Den Berge. Surviving is her daughter, Brenda and Mel Rus; stepsons, Jerry and Norma Abma, Ray and Debbie Abma, Dave and Linda Abma, Bob and Igor Abma, Steve and Lavon Abma, and Alan and Christine Abma; several grand and great grandchildren; siblings, Gus and Jean Van Den Berge, Lyla Van Den Berge, Elsa and Herschel Essink, John and Karen Van Den Berge, and Marlene DeYager; nephews, nieces, and cousins. Funeral services will be 11 am Friday (February 8) at North Holland Reformed Church, 12050 New Holland Street. Burial will be Restlawn Memorial Gardens. Visitation will be 6-8 pm Thursday (February 7) also at the church. Memorial contributions may be made to North Holland Reformed Church Building Fund or Hospice of Holland. Arrangements are by the Dykstra Funeral Home-Northwood Chapel.